GDC is over and those of us in the British games press are back home suffering from jet lag and finding it hard to sleep - even more so than when we remember the Xbox One announcement. This year's San Francisco-based show was a relatively quiet affair when it came to big announcements - largely thanks to the mystery surrounding Google's Keynote event in which the tech giant announced the Stadia games platform - but there was still a lot of glean about where the games market is going. This includes, yes, Stadia and renewed promise of cloud gaming, first-party support across the board, Epic Games' absurdly generous GDC keynote and much more. 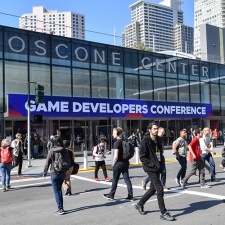 If there's a reason why you felt that this year's GDC was quiet this year, that's likely down to the fact that Google announced a keynote event for its brand new streaming business at the start of the San Francisco show. Few companies, save for Unity and Epic, made any big announcements, likely for fear of being drowned out by whatever the tech and software giant revealed. This was a smart move - despite there not being much announced, the resulting chatter would have drowned out anyone anyway. Google revealed Stadia, its brand new streaming service that boasts some rather impressive tech but ultimately it feels very far away from anything that is going to be released - which is troubling given that it is set for release later this year. The Big G revealed that it has third-party tech partners - cool - and we can infer some the publishing and development firms that will be working on the platform. But we're lacking any sense of what games are going to be released on the platform, what Google's own first-party strategy is beyond, erm, the fact they've hired Jade Raymond. We also have no clue about how Google is going to be compensating developers or what the Stadia is from a business perspective. Is it a subscription service? Are games free-to-try for a few hours then have to be bought? What does the storefront look like? It's all very well and good saying 'The internet is your storefront' but, er, what does that even mean? Oh, and why were show floor demos using third-party controllers? Sure, the Stadia service can be used with any gamepad, but given that Google had just announced a brand new controller, it makes sense to have that on display - especially given that this hardware is likely what will be in stores later this year in time for Christmas. Google Stadia is the next big test of the streaming service in video games, but it's the kind of tech that's perfect for a keynote showcase and the kind of tech that could very well die in the wild. With huge layoffs in 2019 to date - themselves following a savage 2018 - we can imagine that the C-level execs at the top publishers are hoping that the conversation around a developer union would go away. The long-running conversation that started anew at GDC 2018 was key alive by the news of Telltale going under, leaving its staff out of pocket and out of a job. 2019 so far has seen big layoffs at the likes of Activision Blizzard, ArenaNet and EA Fire Monkeys - and that was before EA announced 350 marketing, analytics and publishing staff were out of a job in the wake of the show. At this year's GDC, would-be union - and actual union in the UK - Game Workers Unite brought together reps from its own organisation, as well as voice actors union SAG-AFTRA, Writers Guild of America (WGA) and AFL-CIO, the largest union federation in the US, to discuss what needs to be done to secure the rights of workers in the industry. “One lesson that was extremely important...is having a movement approach”, said WGA's Justin Molito, as reported by Gamasutra. That's due to the gradual but sudden rise of cloud gaming. Google announced that its Stadia platform would be powered by Linux, while Nvidia was showing off it support for the OS. The GPU giant was demoing Machine Games and Bethesda's Wolfenstein: The New Colossus on the show floor running on Linux via Valve's SteamPlay feature with no extra code written by the developer. Furthermore, Nvidia was showing off its Asteroids demo - designed to show how mesh shading tech have been built into its Turing architecture and demoed at the end of 2018 on Windows - running on Linux and the open Vulkan graphics API. Why is Linux getting so much love? Well, in order to run a cloud gaming service you need a huge amount of hardware distributed all over the place. Companies are likely looking to keep costs down, something that having their streaming services built on a free operating system like Linux certainly does. We'd bet that's why Google has opted for Linux and it's certainly why a company like Nvidia has decided to support the operating system. Today, it's common to see consumers kicking off at developers or publishers for anything from a change to a game, what platform it is coming to or its content. But games companies being scared of their fans is nothing new. "Counter-Strike reached a point where there were so many players playing it that we were afraid to change things," Le said. We've already seen a massive investment from Microsoft in its development portfolio, but it's likely we're going to see this continue across the entire industry, too. The Xbox firm bought six studios in 2018, and set up a seventh, bringing its total up to 13 companies - the same figure that Sony boasts - and if the PlayStation firm isn't looking to increase its first-party portfolio, we'd be surprised. But as more platforms launch in the games space, we're going to see greater investment in first-party studios. Why? There are two main reasons - for one, first-party talent is an indication that you are taking games serious. You need only look at Google hiring Jade Raymond of Ubisoft and EA fame to head up its Stadia Games and Entertainment business, as well as Improbable bringing BioWare vet Aaryn Flynn on board in charge of its Edmonton studio to see this. We can also see this in the investment that VR firm Oculus says it is putting into games for its headsets. Back then, the company was an impressive game developer making one of the most-anticipated games around. In 2019, Epic is a different - and much larger - beast, and this year's GDC was testament to this fact. During its keynote event, the Unreal Engine and Fortnite maker unveiled the $100m MegaGrants funding initiative - a five-year programme to fund projects with "no strings attached," according to CEO Tim Sweeney, meaning Epic isn't interested in owning that IP. Furthermore, these games can be built on any tech and launch on any store - the MegaGrants scheme isn't limited to just Epic's Unreal Engine and storefront. If that wasn't enough, the company revealed that it was rolling out a new Online Services platform designed to help developers launch, operate and scale their games entirely free of charge. This is available right now. Again, this isn't limited to Unreal Engine projects - Epic's Online Services can be used to power games built on any tech, including rival Unity. Challenged by PCGamesInsider.biz about this infrastructure being free right now - when Fortnite is making billions a month - and whether Epic would charge when that cash starts to dry up, Sweeney insisted that it would be free no matter what. ""It'll always be free. The cost is very reasonable. We're in a hits-based business with games," he said. "We've gone through years at a time when we've funded the company entirely through revenue from our engine business, including the time when we were building Fortnite and Paragon in their early days. Fortnite is growing and has hit two new non-event peak record usage times since Apex Legends launched and went through its huge growth. We've seen no sign of it slowing down. We're capable of operating the company for decades more with or without a hit to the magnitude of Fortnite." Since the year of VR in 2016, this sector has been rather quiet. Even with reasonable expectations, virtual reality is widely regarded to have underperformed. Many investors were left disappointed and - by and large - interest in the technology appears to have decreased. But VR is not dead just yet. At GDC, Oculus revealed that not only is it releasing the previously-announced wireless Quest headset, but also the wired-PC Rift S. Both cost the same - $399 - but attack the VR market from opposite ends of the spectrum. The Quest is not as powerful, but is far more convienient and cost-effect with all the hardware built into the head-mounted display. Meanwhile, the Rift S delivers a more technically-impressive experience, but requires the use of a fairly powerful PC to power it. With interest having shifted from VR in its startup days to new emerging markets like AR and blockchain tech, it's important for the VR platform holders like Oculus and HTC - who revealed its $799 Vive Focus headset yesterday - to continue to support the space.